Either way Colorado, who took down Minnesota 12-7 in quarters, met Pittsburgh at the rough turf fields on Mizzou’s campus for the MLC Finals. The rain was still coming down hard, and each team had twelve plus hour drives home, but they stayed to play anyways. The first half score remained close but Pitt looked the better team, getting break opportunities that they just couldn’t convert. Colorado took half 6-5 and the teams traded to 7-7 from there. Mamabird ran out of luck and gas after that with Pitt running off four straight breaks off Colorado turnovers and taking the shortened finals game 11-7. The results from this game won’t mean much come May, they probably won’t even mean a whole lot in March, but Pitt was composed down the stretch. Colorado has to fix its turnover problems if they mean to play at the highest levels this season. Even forgiving for the wind and rain they struggled to run an offense that could posses the disc for prolonged stretches all weekend. Pitt for their part shook off the rust of losing to Texas A+M on Saturday and took down all comers Sunday, no matter the condition. With top handler Alex Thorne back in the spring, they look to be a contender for the title again. Skyd Magazine recap of the Steel City Showdown. Pittsburgh (#1) came into this tournament looking like the clear favorite to repeat as Warm Up champion. With a strong batch of returners, including standout duo Alex Thorne and Tyler Degirolamo, coupled with a strong program, Pitt looked poised to dominate this weekend. But it got off to an inauspicious start with a big loss to Florida. They rebounded nicely against Carleton, but fell against Wisconsin on Friday night. They would have to grind out three straight close wins over UCF, Dartmouth, and Florida (quarters) before falling to Wisconsin again. He was also impressed with Florida and Dartmouth’s defense, which gave them trouble in each of their games. This team has a lot of work to do, and Kaczmarek recognizes that. “We like to always ask the question: ‘What went right and what went wrong? '” he said. “When things go right, we replicate. When things go wrong, we revise. We got a pretty clear answer to that question, so we know the direction we have to go. 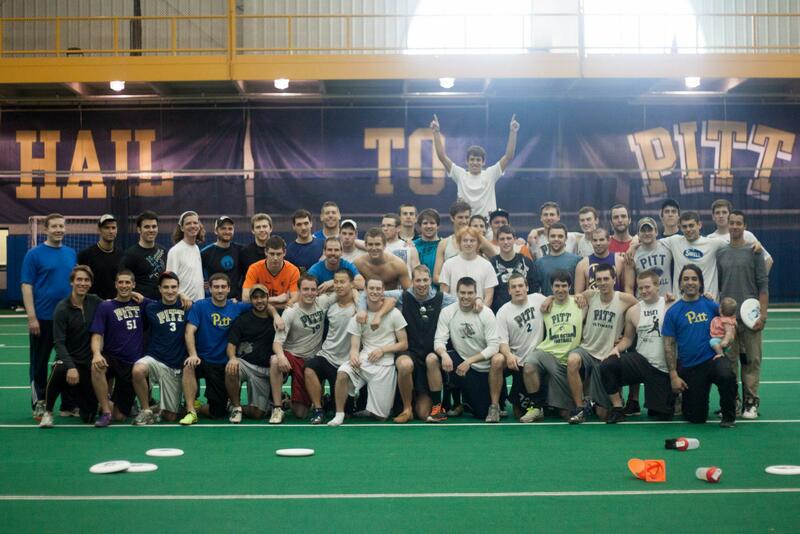 2013 Alumni Game in the Cost Center. 9th straight sectional/conference championship for En Sabah Nur.